It took several votes on Dec. 5, but three Sarasota city commissioners finally gave their support to former City Commissioner Eileen Normile as the newest member of the city’s Planning Board. Normile most recently has appeared before the City Commission as a member of the newly established organization STOP!, which is committed to controlling development in the community. Commissioner Susan Chapman nominated Normile, who is a retired criminal prosecutor. Normile served in an interim position on the City Commission from the latter part of 2014 until May 2015. 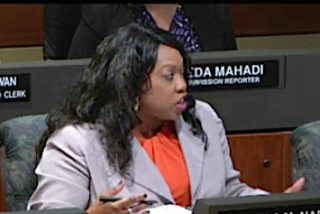 She and former Sarasota News Leader City Editor Stan Zimmerman won appointments to the board after two commissioners had to resign because they were candidates for the County Commission in the 2014 election. On Dec. 5, Commissioner Suzanne Atwell had nominated Michael Halflants, who was appointed to the Planning Board in April to fill the unexpired term of Vald Svekis. Halflants is principal architect with the Halflants + Pichette firm in Sarasota, and he teaches at the University of South Florida School of Architecture, his application says. 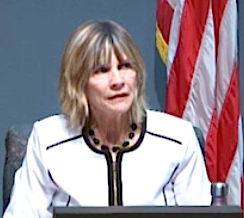 Vice Mayor Shelli Freeland Eddie supported Fred Farmer, a teacher at Sarasota Military Academy, and Commissioner Liz Alpert suggested attorney Kelly M. Fernandez, an attorney with Persson & Cohen in Lakewood Ranch, if the board wanted a newcomer. Jennifer Ahearn-Koch, a past Planning Board member, had applied to return to the advisory board prior to her filing last week for one of the two at-large City Commission seats open for the March 2017 election. She subsequently withdrew her application, City Auditor and Clerk Pam Nadalini told the commissioners. 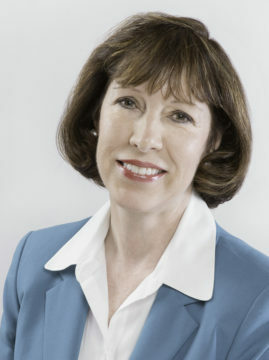 Two other people seeking the appointment were Cindy Eley, a retiree who serves on several community boards; and Lewis D. Solomon, who taught tax and corporate law for a total of 29 years at the George Washington University School of Law and for four years at the University of Missouri-Kansas City Law School. Mayor Willie Shaw and Freeland Eddie ultimately joined Chapman in supporting Normile. During public comments prior to the vote, Sarasota attorney Dan Lobeck supported Normile. Speaking on behalf of members of the organization he leads — Control Growth Now — and addressing the commissioners as a city businessperson, he told them, “You have an opportunity — a very important vote — to restore some semblance of balance to your Planning Board.” A balanced board is what that advisory council traditionally was, he pointed out. Yet, for a while, he continued, the city Planning Board has had five members “who, to a person — to a man — speak for the development community.” He added that one of them — architect Chris Gallagher — has had so many conflicts of interest on issues that have come before the board that he has had to recuse himself nine times over the past two years. Halflants also is an architect working for developers of two major projects underway in the city, Lobeck noted: Vanguard Lofts and Risdon on 5th. Commissioner Chapman added that Normile serves on the Citizens Advisory Committee of the Sarasota/Manatee Metropolitan Planning Organization. Atwell then added that she met with Halflants when he applied the first time to serve on the Planning Board and had talked with him a second time, when he asked to be reappointed. “That is totally inaccurate,” Chapman replied. “It’s on the record,” Atwell told her. “Let’s just stick to the business at hand,” Mayor Shaw interjected. When Vice Mayor Freeland Eddie nominated Farmer, she said his appointment would be a response to the call for balance on the board. He would offer a new voice, she told her colleagues. “A lot of times people that may not have architecture experience may be discouraged from applying for this process,” Freeland Eddie noted. When Auditor and Clerk Nadalini called for a vote, Chapman and Shaw first raised their hands for Normile. Atwell voted for Halflants; Freeland Eddie, for Farmer; and Alpert, for Fernandez. “It appears that Ms. Normile has the majority,” Nadalini said. However, Deputy City Attorney Marlon Brown questioned whether a board majority was necessary to make the vote valid. 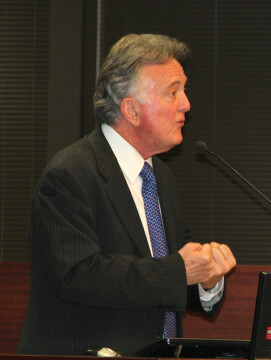 City Attorney Robert Fournier indicated Brown was correct in indicating another vote was needed. As Nadalini started to ask for that action, Alpert withdrew her nomination of Fernandez. When Nadalini then asked who supported Normile, Freeland Eddie joined Chapman and Shaw in raising her hand.